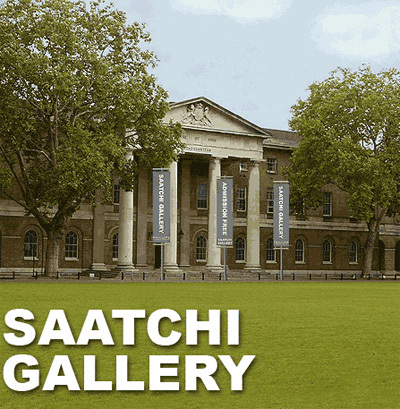 The Saatchi Gallery opened in Chelsea in October 2008. The Duke of York's HQ, Sloane Square, offers an ideal environment to view contemporary art, with very large well-proportioned rooms and high ceilings. The Gallery occupies the entire 70,000 sq ft building giving the gallery scope for a book shop, educational facilities and a café/bar. It is ideally located in a central London location on Kings Road, Chelsea. Free admission to all shows - including temporary, curated exhibitions, as part of the Saatchi Gallery’s aim to bring contemporary art to the widest audience possible - has been enabled through the Gallery’s corporate partnership with the leading contemporary art auction house Phillips de Pury & Company.